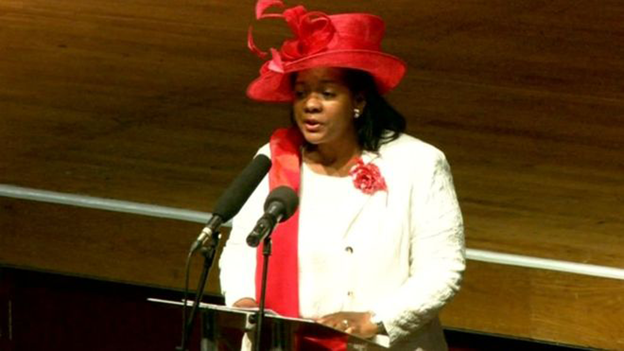 West Midlands Deputy Police and Crime Commissioner (PCC) Yvonne Mosquito has been suspended amid allegations she visited the family of a murder victim. Kenichi Phillips, 18, was killed as he sat in a car in St Mark's Crescent, in Birmingham, on 17 March. An internal investigation has begun into potential gross misconduct, the Office of the PCC said. Ms Mosquito is reported to have strenuously denied the allegations. The PCC's chief executive Jonathan Jardine said it was investigating "concerns raised about interference into operational policing regarding an on-going serious investigation". He said Ms Mosquito had been suspended from her post with immediate effect.